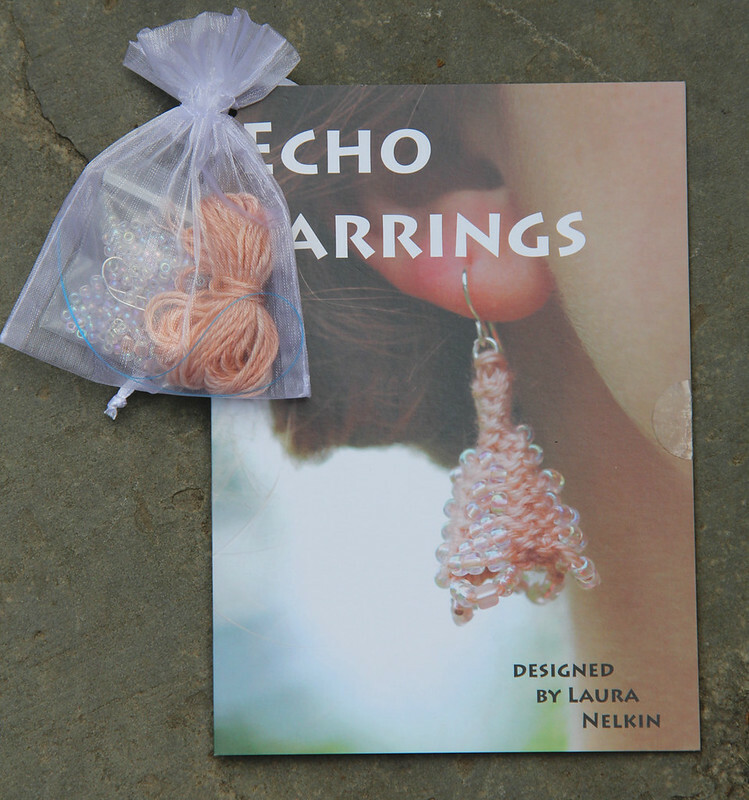 Nelkin Designs Blog: Echo Earrings: Next Patternworks Kit Club Design! 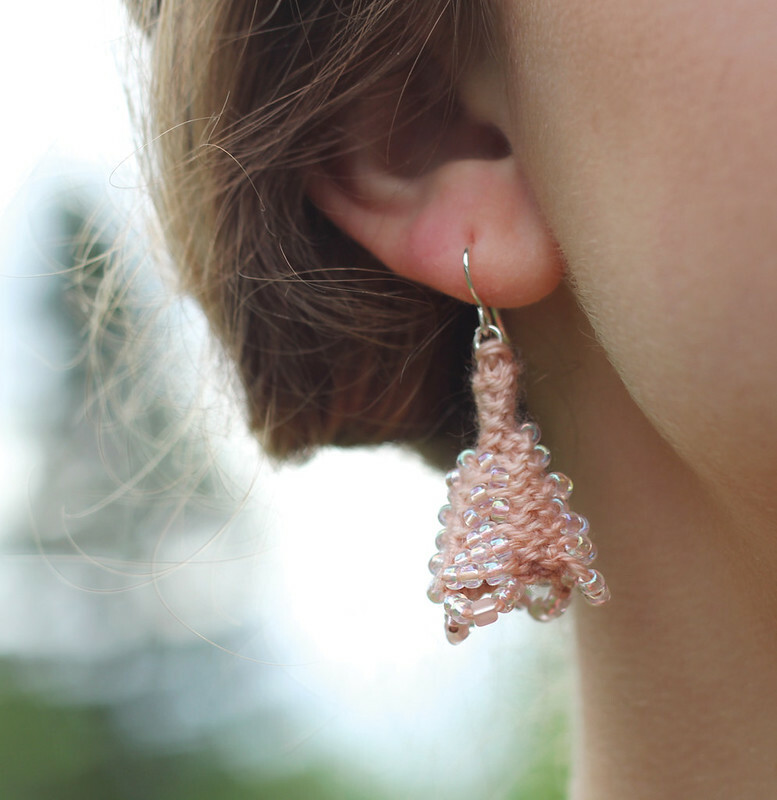 Echo Earrings: Next Patternworks Kit Club Design! Last week I heard that the next kit in my Patternworks Knit Jewelry Kit Club shipped... which means I get to show you my latest design for it! Ready? Echo Earrings are little knit bells worked from the top down in the round with beads slipped up in between stitches. It will probably take longer to string on the beads than it will take to knit these babies, and I know you'll have fun with this simple summer knit! I went all out with materials for this kit and along with Anzula's Milky Way (a milk protein fiber and merino blend) I used two different shapes of Size 8 beads and Sterling Silver tear drop earrings. This yarn from Anzula is unique and SCRUMPTIOUS to work with.... I think more than one of you might be wanting to knit a shawl in this yarn next! Yay! Mine arrived last night! They will be fun to knit up - I'm looking forward to test knitting the yarn! So cute, and with some little organza wings, these would make lovely little angels. After you P2, and slip up the 5 beads you bind off the next stitch by knitting the next two stitches and then lifting the second stitch over the first stitch on the right hand needle, then make the stitch on the right hand needle bigger and pull all the yarn and beads through the stitch to fasten it off. You will now have NO sts on your right hand needle, now slip up 5 beads and work as before. It's a unique bind off, but doable! Yeah you are right that women of any age want to wear beautiful jewelry to fit their fashion in budget. 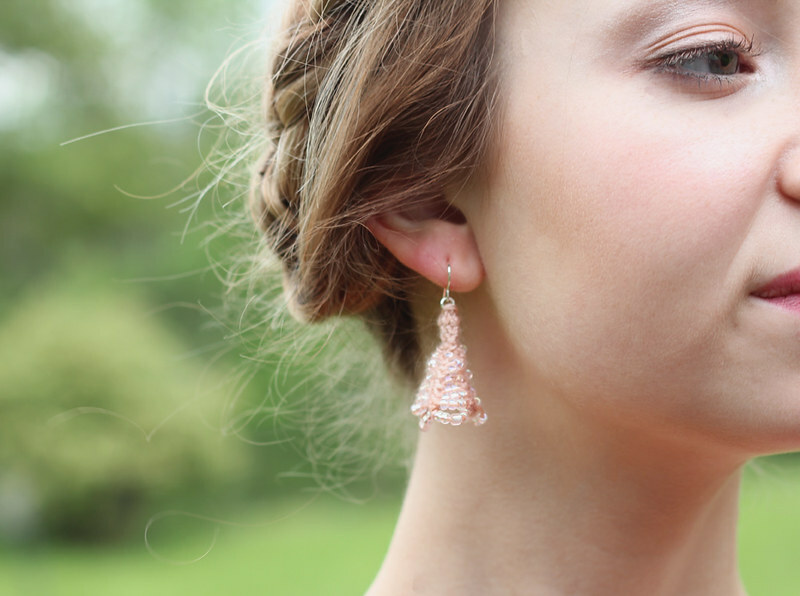 Even impressive and glittery chanel earrings looks best with your outfit. Great Service To Next Patternworks Kit Club Design! Thanks a ton for this awesome blog post. I love to try new things and I am thinking of buying Silver initial necklace online too. I was looking for a discount on something as unique as it is and I consider myself lucky to have stumbled upon artisna.com. Did anyone try it yet? Cheerio Kits: A Knit Necklace!